We are offering high performance and light weight drainage pumps which are designed after implementing wide knowledge of this segment. This pump is made using avant-garde components and parts, which ensures its durability. Our waste pumps are appreciated for greatest unwavering quality and a long, convenient lifetime. These are introduced / installed below the ground level, to expel wastewater from clothes washers, sinks and showers and garden seepage all the time. The light-weight drainage pumps can be moved around to deal with a particular seepage work ideal on the spot, for example in case of flooding or emptying of swimming pools and tanks. The pumps have the head range up to 38 meters. Evacuation of the waste water which is acquired from purification vessel, liberation tank and sewage tank present in the water treatment units. Evacuation of the waste water and mixture of inclusion & fibrous admixtures which is acquired from the factories of food processing, dyeing and leather. 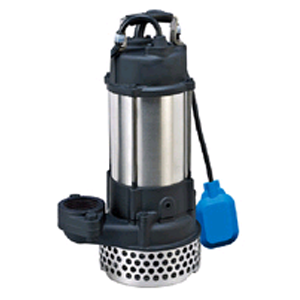 Submersible drainage pumps are amazing for siphoning water and grimy water blended with light abrasives. The pump configuration empowers advantageous transport, taking care of and establishment. We guarantee its top execution and decreased wear.